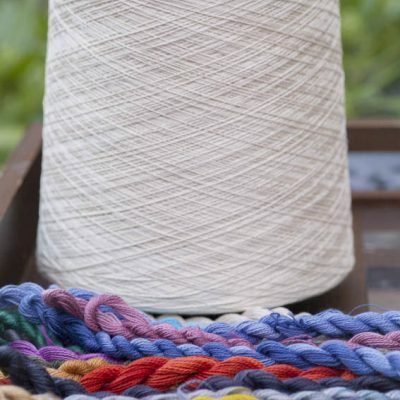 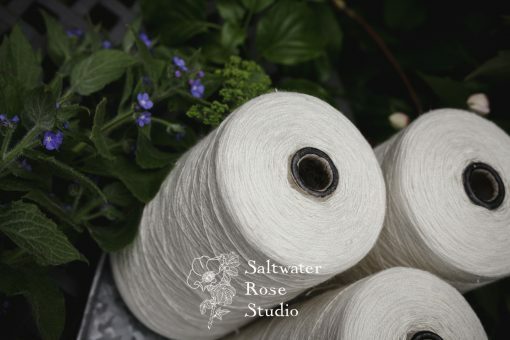 Spun mulberry silk and ramie are blended together to make this lovely yarn. Ramie is a member of the nettle family and is a bast fibre, giving it drape and strength that we know from linen, with a bit more of a delicate though textured feel. 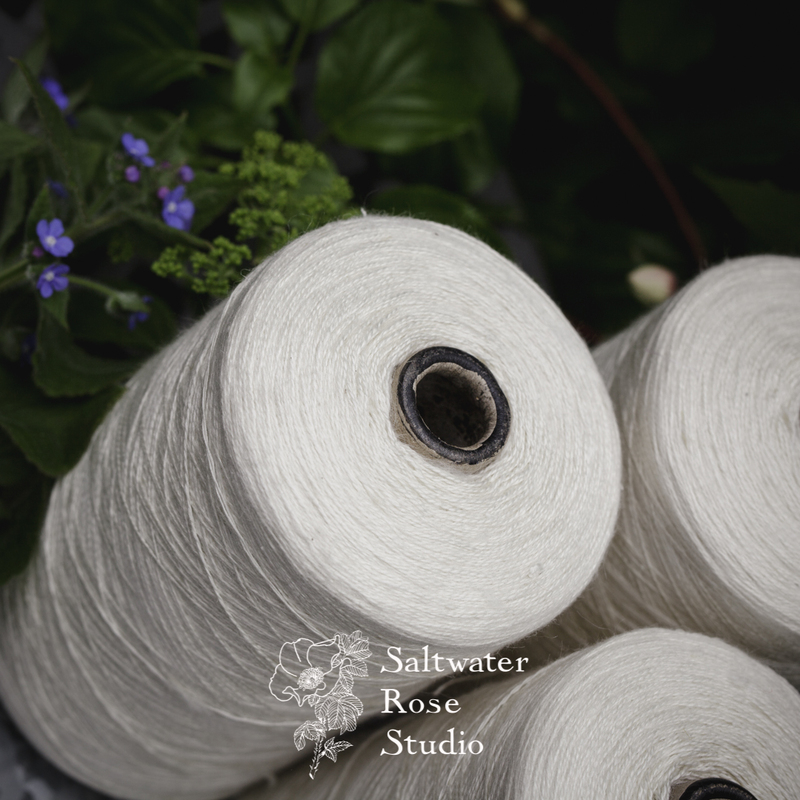 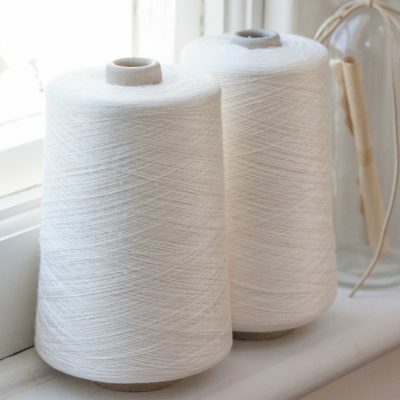 The yarn is naturally creamy white, though in places you can see the golden ramie in the yarn, but the yarn is soft and not scratchy. 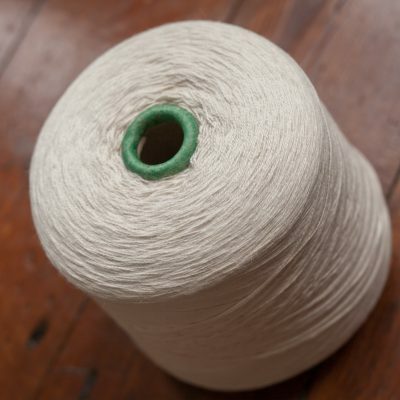 Yarn is on 500g cones.